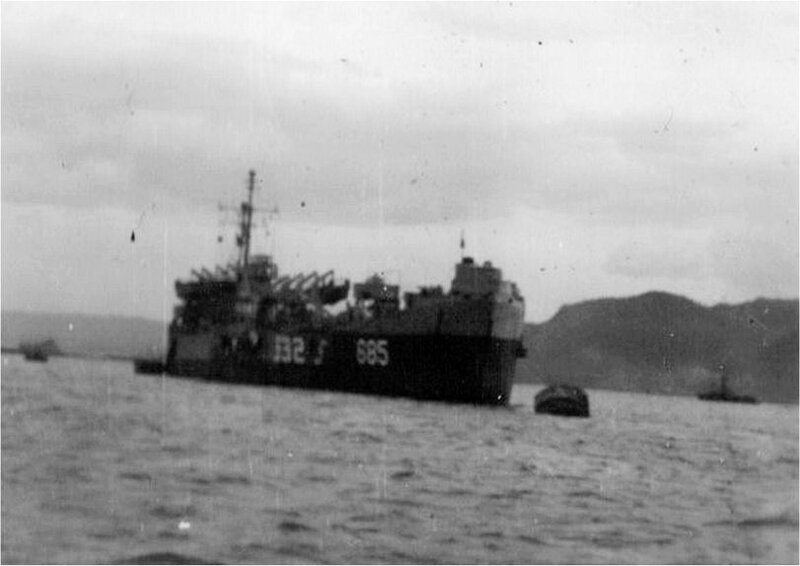 83k USS LC(FF)-532 moored alongside USS LST-685 in the harbor at Sasebo, Japan, while engaged in Occupation service, circa February-April 1946. Photos by Vernon Yeck USS LC(FF)-532 submitted by his daughter, Wendy (Yeck) Clark. 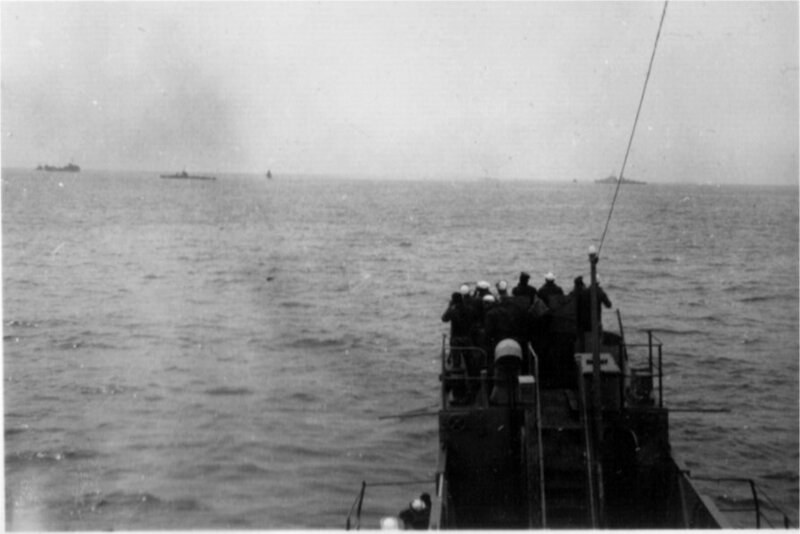 60k View from the bridge across the bow of USS LC(FF)-532 while waiting for detonation of explosive charges to sink Japanese submarines captured at Sasebo, Japan, circa February-April 1946. Photos by Vernon Yeck USS LC(FF)-532 submitted by his daughter, Wendy (Yeck) Clark. 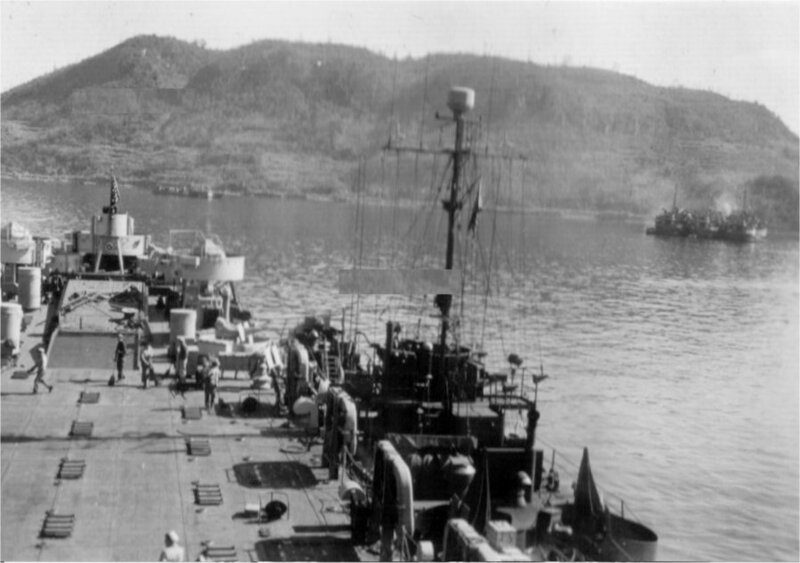 58k View looking aft toward the bridge of USS LC(FF)-532 in the harbor at Sasebo, Japan, circa February-April 1946. 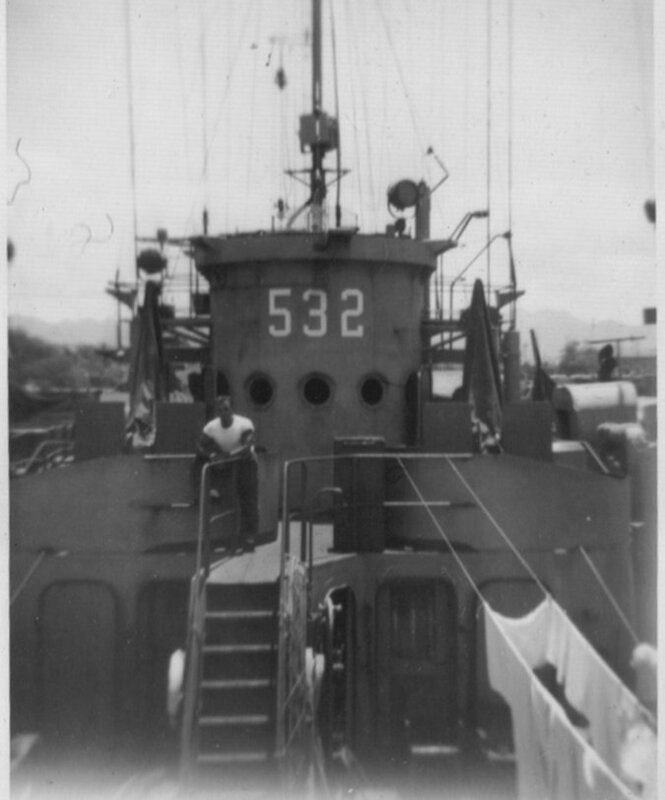 Photos by Vernon Yeck USS LC(FF)-532 submitted by his daughter, Wendy (Yeck) Clark.